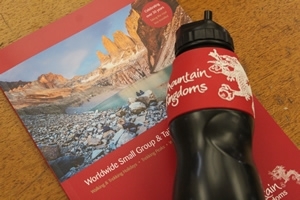 We've lowered the price of our South Inylchek Glacier to Khan Tengri trek by £300. 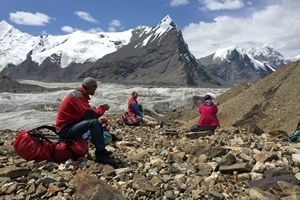 If you're looking for something different in 2019 then take advantage of our recent price reductions on our Kyrgyzstan trekking holiday - South Inylchek Glacier to Khan Tengri. This incredible trek leads you into the heart of the Tien Shan, where unforgettable mountain views await. Join us on an exceptional walking and trekking holiday to world renowned destinations. Classic trekking holidays include Everest Base Camp Trek and the Everest Base Camp and Gokyo Lakes Trek in Nepal, the Ultimate Inca Trail Trek in Peru, the Annapurna Sanctuary Trek in Nepal, and the popular ascent of Kilimanjaro which follows the less-trekked Lemosho route in Tanzania. We don’t just offer the classic trekking routes; we have a comprehensive range of walking holidays and trekking holidays that take you around the world, offering you off-the-beaten-track adventure holiday experiences, trips that discover forgotten trails, and tours that visit vibrant Buddhist festivals and stunning cultural sights. Our last minute holidays are small group holidays which have two or more travellers booked and have a start date between two weeks and 60 days from today. ​The following small group holidays have reached the minimum number of bookings and are guaranteed to run. Trips due to depart within seven days of today are not shown.